Earlier, I talked about the importance of having a newsletter for your blog. I also mentioned that, out of all of the essential subscription options, you should focus on getting email subscribers. It doesn’t matter if you are using ConvertKit, AWeber, GetResponse, or any other service to build your email list, you should keep working on it. Undoubtedly, building an email list can be a BIG asset for your online business. But the problem is that most new bloggers don’t know how to grab their audience’s attention to make them subscribe. If you want to get more people subscribing to your blog, you first need to have a compelling offer. After that, you need a good plugin. Here are 7 awesome WordPress plugins to help grow your email list. OptinMonster is one of the most popular email marketing WordPress plugins available. 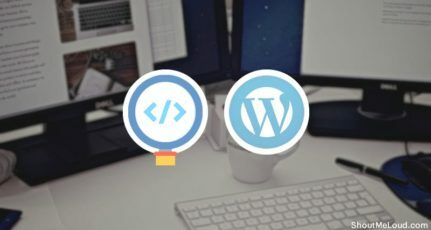 OptinMonster can also be used by non-WordPress users, but for now, let’s focus on how you can use it for your WordPress blog. OptinMonster offers various kinds of subscription boxes that can be used to capture the emails of your readers. In January 2016, I tried their full-page Welcome Gate & the results were astonishing. One thing which I really like about OptinMonster is its user-friendly interface & their ’round the clock support. You don’t have to be technically savvy to create a subscription popup as you can use their ready-made subscription box & personalize it to your website. I have been using them for the last 2 years & so far I’m very happy. They keep adding all of the latest techniques which help end users like you & me to sky-rocket our email capturing campaigns. I highly recommend OptinMonster to all ShoutMeLoud readers. If you are looking for a perfect solution to quickly grow your email list, look no further than Leadpages. 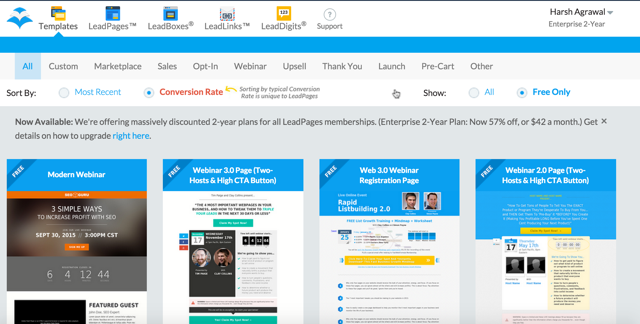 Leadpages lets you create stunning landing pages, email subscription pages, and Thank You pages within minutes. They also have a WordPress plugin for easy integration with your WordPress blog. Note: Leadpages can be used with WordPress & another platforms as well. This is a complete value for the money, as for only $17/month (paid every two years), you get access to unlimited squeeze pages. I’m using Leadpages on my blogs, and it has increased my email subscriptions by 34%. They offer all kinds of various manuals and complete instructional videos to help you get started and make the most out of their platform. This is one of those all-in-one WordPress popup plugins that helps you build your email list faster than before. It helps you transform your website into a list building powerhouse. With fully customized popups, you can convert your visitors into subscribers in minutes. This world-class WordPress popup plugin comes with more than 12 distinct visitor behavior triggers and over 10 different popup display positions. What’s more! 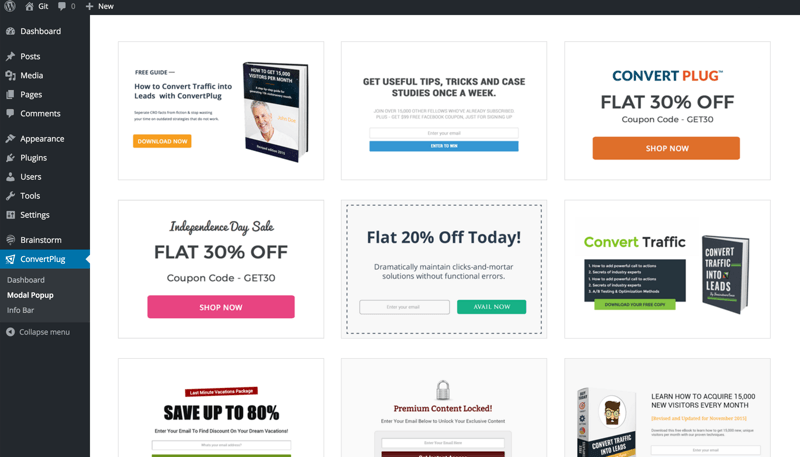 You’ll get over 100 professionally designed readymade templates aimed to boost your conversion rate. This globally acclaimed plugin offers some must-have features including opt-in popup, exit popup, video popup, slide-in popup, embedded forms, social popups, info bars, two step opt-ins, user inactivity trigger, repetition control, page level targeting, referral detection, import & export etc that are sure to take your email subscription list to the next level. The plugin offers you 10+ popup display positions, 12+ different visitor triggers and filters, and 100+ pre-designed and high-converting templates. This plugin helps you lock a portion of your content on the website by hiding or blurring it, and it asks visitors to enter their email address to unlock the content. That means that visitors first have to subscribe to access your content. Opt-In Panda connects to popular emailing service like AWeber, GetResponse, etc., which means you can directly store your subscribers onto an email list. ThriveLeads is a lead generation WordPress plugin that helps you build your email list faster. 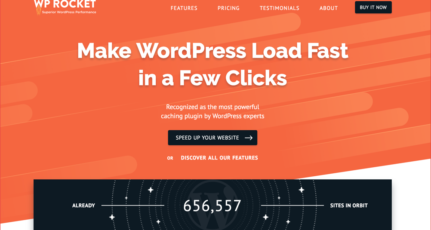 This HTML supported WordPress plugin comes with a full money back guarantee plus the benefit of keeping the plugin for free. It offers almost every kind of optin form that may be required to build a strong email subscription list like ribbon-style forms, slide-in forms, scroll mat, 2-step optin buttons, full-screen forms and features like exit intent, scroll triggers, SmartExit, API integrations with most popular email services etc. It comes with the most cutting-edge conversion tactics that are used by smart business and growth hackers, and helps you build every type of opt-in form possible to maximize your conversions. The Icegram free plugin offers some amazing features that you will hardly find in any other free WordPress plugin. You can create popups, messenger popups, action bars (bottom or top) and toast notifications. From a collection of six beautifully designed popups, you can create one according to your preference. There are some drawbacks though such as the absence of visual builder and inability of customizing button colors and backgrounds, which mean your choice will be restricted to the templates offerings. However, Icegram makes it extremely easy to create targeted campaigns. You can configure the appearance of a popup including after what time, on which pages, between what dates and on the devices it should be displayed. What’s more! Icegram works with almost all email marketing software and all lead/form capture plugins. All of the above-listed email subscription WordPress plugins are popular for good reasons. While some of them may be better than others for specific marketing strategies, any of them will work well if you’re trying to build a simple email list. Do let me know which WordPress plugin you are using to grow email subscriptions on your blog. Are you building a separate squeeze page or are you offering a popup? Let me hear your thoughts in the comments below. Great post Harsh, I am currently using SumoMe but now I am thinking of switching to OptinMonster and with this review, I am now surely use OptinMonster on my blog to get the conversion rate higher. Thank you. I don’t know why you have included a free plugin as a first option. LeadPages is something that works really well, I personally think it should be in the first place. Great list by the way. Thanks, Mr. Harash for Sharing this article with us. I like SumoMe list builder because it looks very attractive and can help me to increase my subscribers. Last month I have started using using Sumome , Its awesome free plugin, I will advise to use this for new blogger, It consist of to many useful tools . Your information is very good. 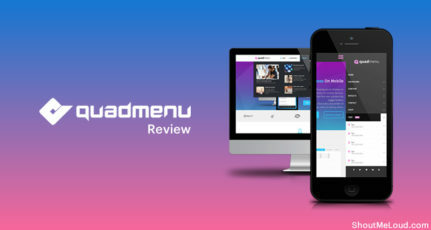 Can you tell me what plugin are you using on ShoutMeLoud for email subscription. Is it free or premium. How can I start comment subscription on my blog ?? when somebody comments on a post than all who have comment on that post will get a mail regarding this. Useful article, just one question. I downloaded SumoMe plugin, how can I manage sending automatic emails to my subscribers anytime I publish new blog post? Is there any option for that? Or do I have to do it manually?? For that, you need to use a 3rd party email marketing services such as Aweber, GetResponse or Convertkit. I love the way you curated this post, and i wondered if there is any free service which can trigger a mail when new post has been published in blog, because it might be helpful for newbies in blogging at least for some time. This is a must have list for the for WordPress bloggers to increase subscribers. I use SumoMe for my blog and I have increased the number of subscriber of my blog by 200%. I have integrated MailerLite with SumoMe and I have started getting good result. SumoMe is free and really effective to get good number of subscribers. You can also get social likes by using SumoMe as well. Does optinmonster let you collect names free? I’m using Sumome and like it but my emails all go to the promotions tab in Gmail so it doesn’t convert well. And I can’t collect names without going premium. Just thought I’d offer up an update, #1 is no longer free. They now charge $9.00 per month. Thank you for the 411 though. I’m currently looking into all of these options. I have integrated MailerLite with SumoMe and I have started getting good result. SumoMe is free and really effective to get good number of subscribers. Thank you so much for making it a lot easier when it comes to choosing a email subscriber plugin. I’ve used Sumome before, but I see that you say you’ve been using OptinMonster for the last two years and you’re happy, so it must be worth it. I’ll definitely be trying it. I’ve been trying to decide on what plugin to use to start building a subscriber list and make sharing easier. You’ve certainly made that process easier! Optin Monster is the best for me. Thanks, Mr Harsh! Email marketing is definitely something you need to build your loyal subs. People who say that it is dead perhaps have no idea how to use it efficiently. Building value and creating something that is helpful to our readers is so much important. This list is definitely going to help many. Thank you and keep adding value, we always look forward to your blog!